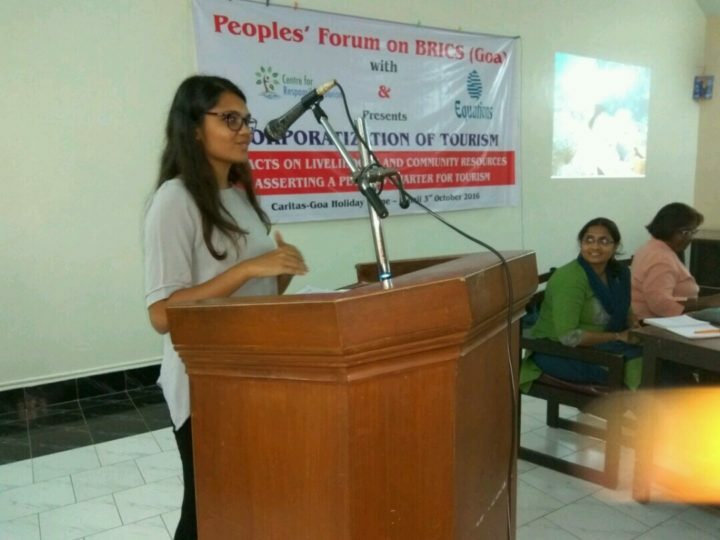 Civil society groups under the banner of People’s Forum for BRICS have stressed the need for ‘people’s charter’ for tourism. 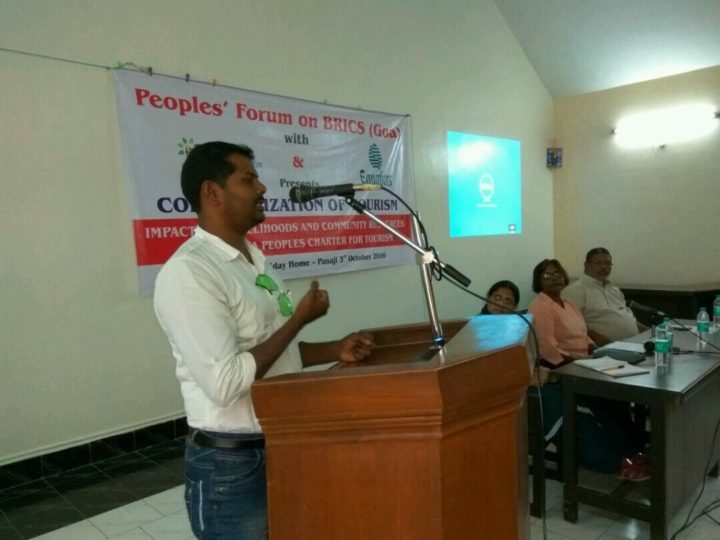 A resolution was passed at a day-long seminar in Panaji on Tuesdayby the NGOs ahead of the summit of BRICS countries (Brazil, Russia, India, China and South Africa) which would be held in Goa on October 15 and 16. 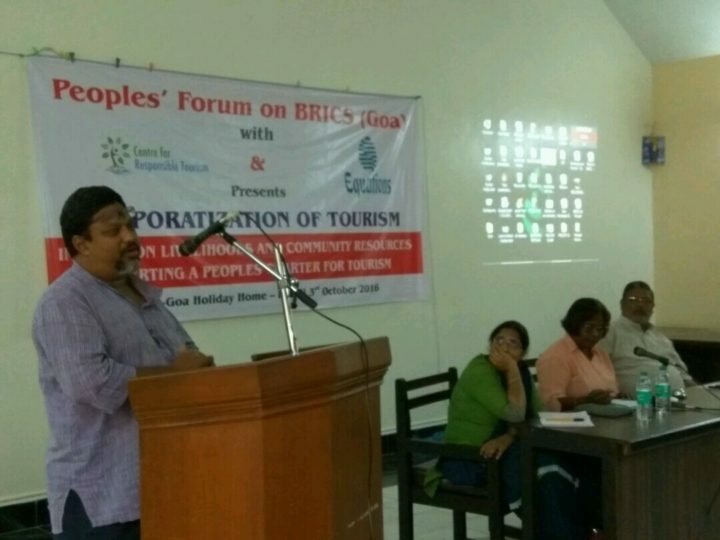 “Goa needs a people’s charter for tourism that disowns the government’s master plan and instead offers a people-based approach to tourism based on justice and equity,” said the resolution. 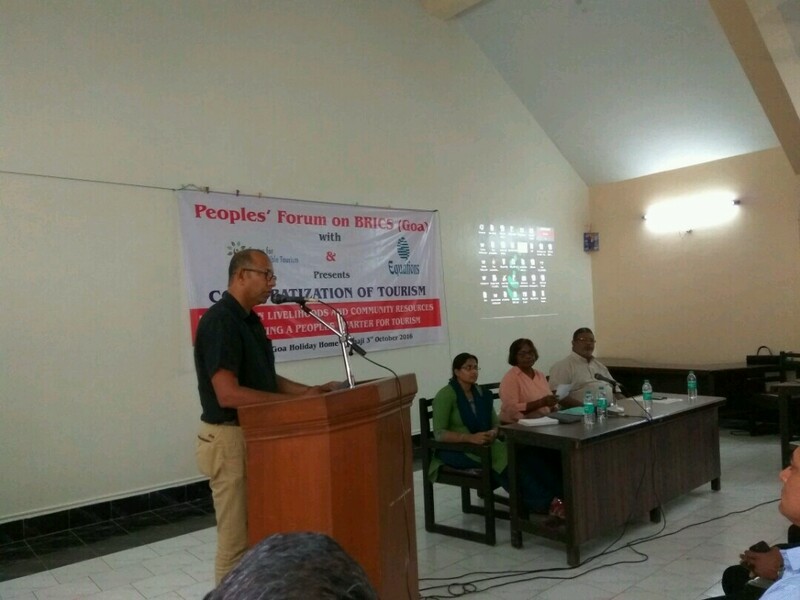 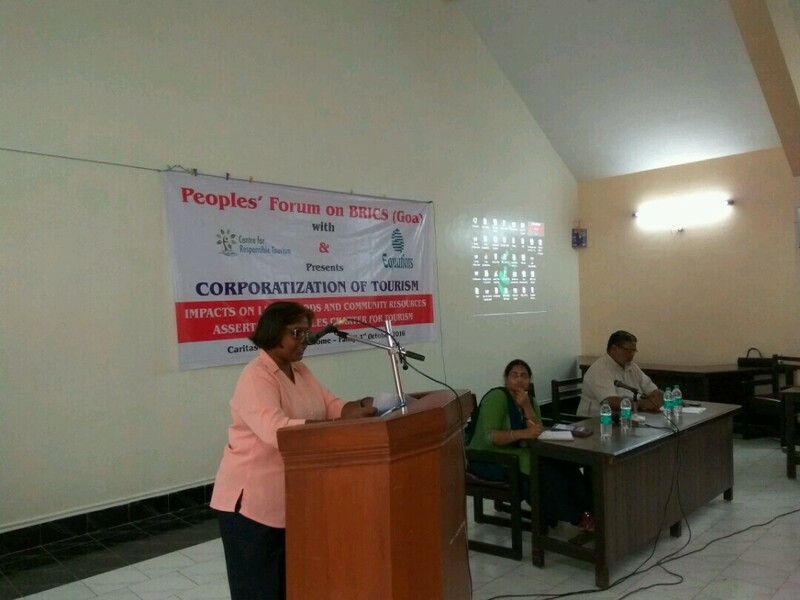 Bengaluru-based EQUATIONS and the Centre for Responsible Tourism, Goa, had organised the seminar. 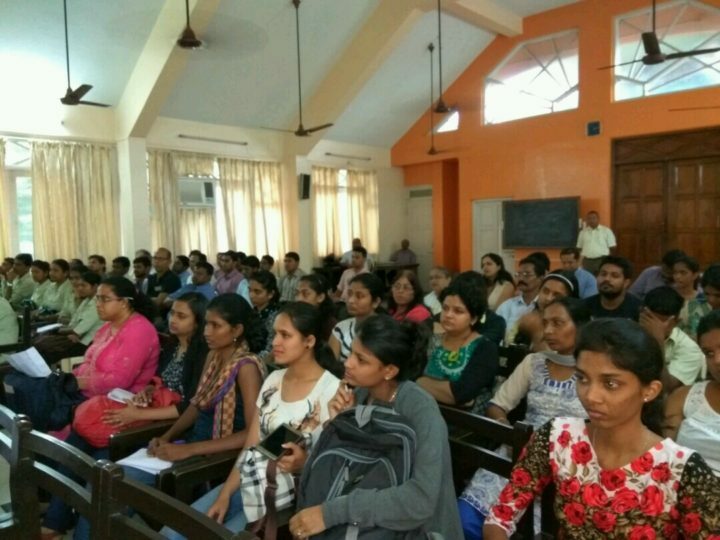 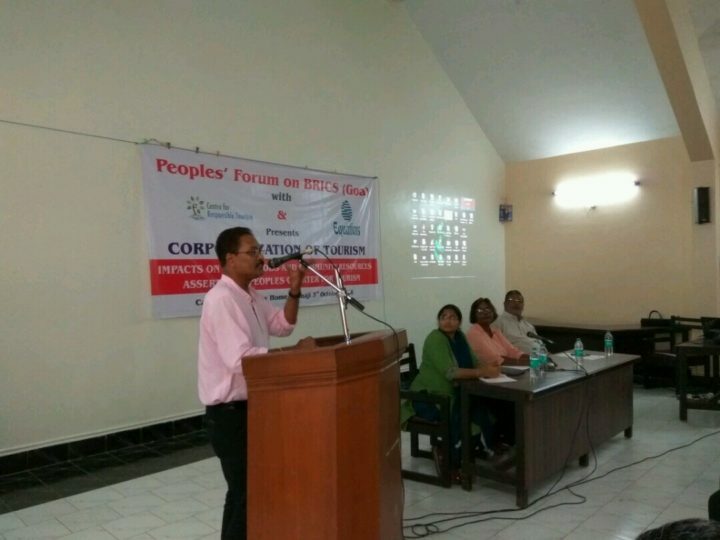 Corporatisation stifles the local entrepreneurship and the unorganised sector and perpetuates problematic employer-employee relationships through promoting contractual and precarious work, the participants at the seminar observed. 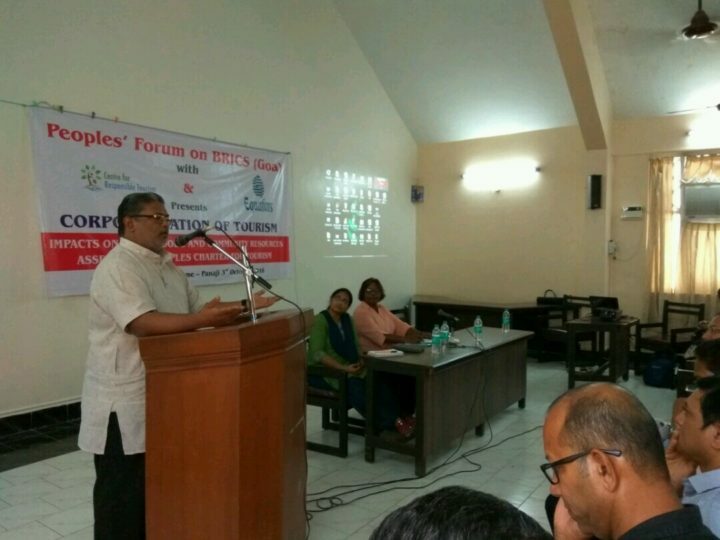 “The state must adopt the principle of regulation in tourism and not this pattern of unstructured and unhindered growth of tourism. 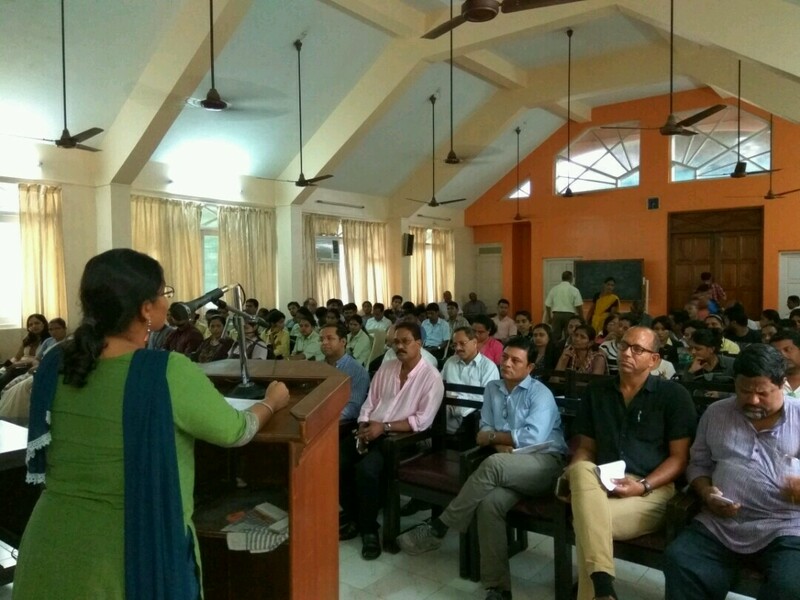 Goa’s carrying capacity has its limitations, we must operate with an eye on the future generations,” said the resolution. 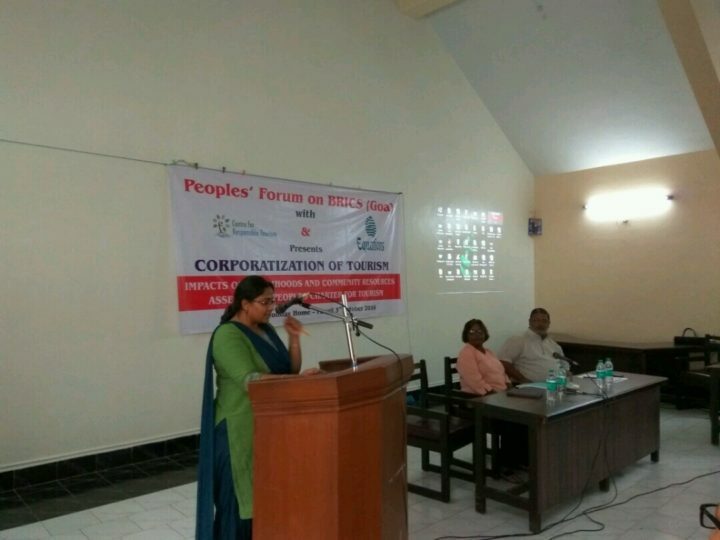 It also said that people’s movements in Goa must insist on the implementation of ‘Pollution Pays Principle’ in the context of corporations in tourism, making the polluter liable to pay compensation to those affected. 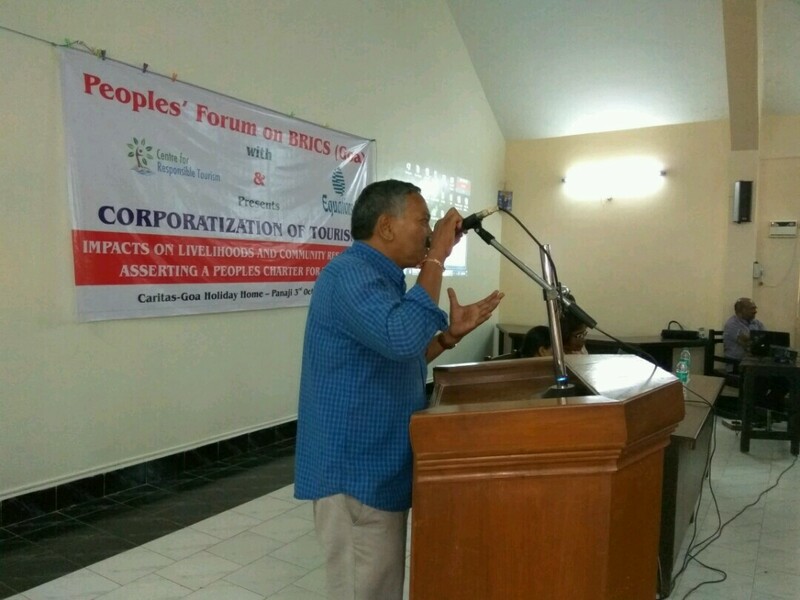 Centre for Responsible Tourism president Fr Maverick Fernandes said that the government has a bounden duty to protect the livelihood of the coastal communities as they were forced to sacrifice their sustainable traditional occupations to enable the promotion of tourism. 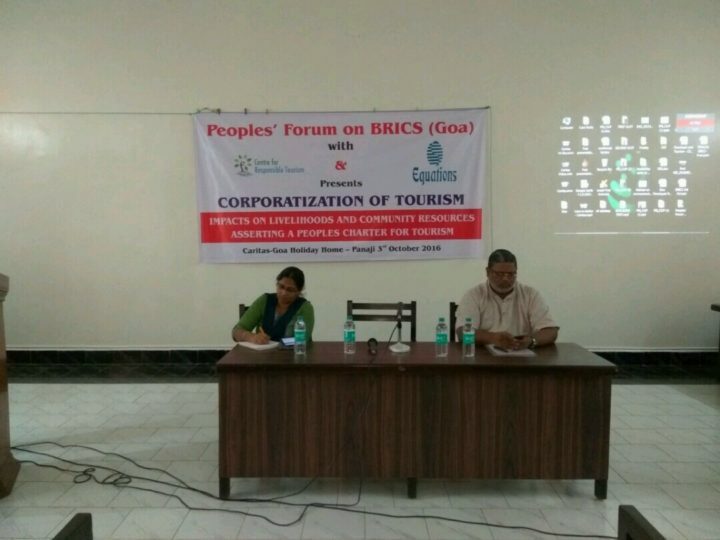 “Uniqueness of Goan tourism is the involvement of a large number of people from the locality,” he said.